Many Honor Society students find their service activities to be among the most rewarding experiences they have as members. Sometimes, these activities awaken an interest or open a door to a new passion. If you’re just starting out, we encourage you to read Community Service Idea Starters to help with selecting a project and planning. When you’re ready, visit this page again for links to our National Student Project Database and web pages with links to more ideas and resources. Looking for an idea for an individual service project or to bring to your chapter as a group project? Visit the National Student Project Database for thousands of ideas submitted by schools around the world. 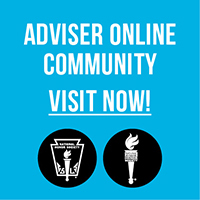 You can browse the database for project capsules, but you will need a login from the chapter adviser to fully access all of the database contents. You may get an idea by browsing the links on the following web pages for areas of social concerns or organizations representing an interest. Please note that the organizations listed are not officially endorsed by NHS or NASSP.